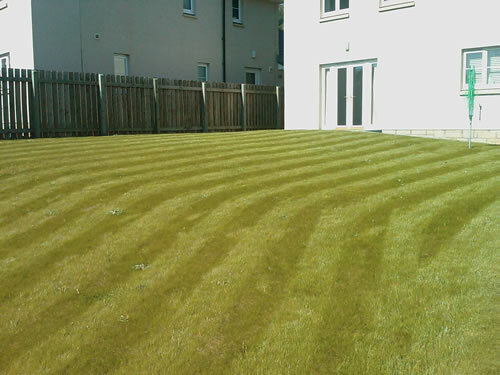 Mitchell's Estate Services provides grass cutting and gardening services to commercial and domestic customers in and around Edinburgh and the Lothians. All our staff have years of experience in the trade and are fully insured for public and employers liability. At Mitchell's we provide grass cutting and gardening services to a variety of commercial customers including housing associations, property management companies, nurseries and charitable organisations. These contracts can be conducted on a long or short term basis and even one-off jobs can always be considered. Flexibility and customer satisfaction is always at the centre of what we do. Whether you're looking for that first difficult cut of the season to be done or wanting to arrange a fortnightly maintenance mow of your lawn, at Mitchell's we've got it covered. Every week from March till October hundreds of customers throughout Edinburgh and the Lothians receive a reliable and professional service from us. You might be in a new build property, a victorian villa or a bungalow with a large garden but you can be sure we'll be focusing on providing a quality cut at an affordable cost. For more information on any of our commercial or domestic services feel free to phone Pat Mitchell on 0800 612 6651 or use the enquiries page on this website.